Exo Hanteo Gaon Melon Non fans are welcome but know that negging posts is so low So peek at your own risk how does it feel? 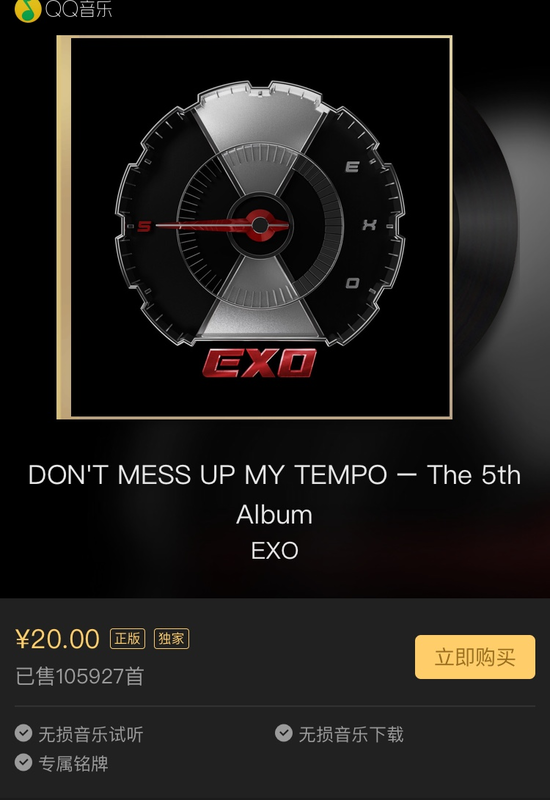 Idk who started the EXO 3 million thing (clearly not this acc) but China’s sales are digital sales and you CAN’T count digital + physical together. Where can I take QQ chart links? Physical/traditional album numbers from Oricon/Japan & US/Billboard are already counted in gaon. Those numbers from Kr/Jp/US shouldn't be added up. Or it should be hanteo + US/billboard + Jp/oricon not gaon. United world chart is a combination of physical album & digital sales from different charts such as gaon (digital), hanteo, oricon & billboard. Thank you. It is clearer now. i hope the other fanbases check their sources before spreading stuff without crediblity. How embarassing. It is better to celebrate the digital sales on their own because they are impressive as they are, even without the 3 million tag. Even these numbers aren't up to date. 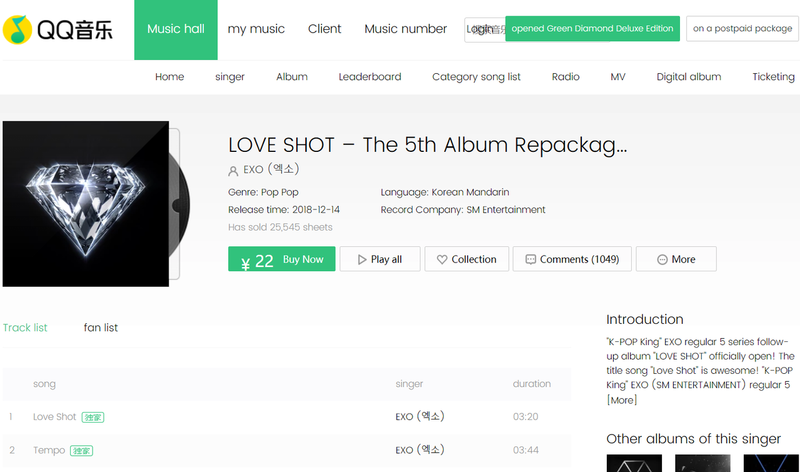 I was pretty sure love shot has 300k(or like 250k or something in that range) sales on QQ I’ve seen their weekly album chart since I can’t really open your links can you post screen shots instead. It's a messy and connfusing post. 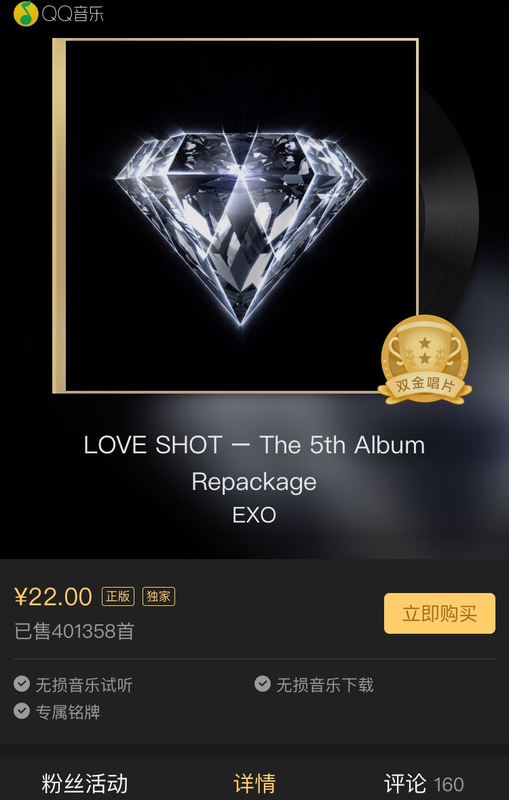 if the 400k for love shot for only a SONG why lay's sales same in the app and website while exo's different?? some people said 400k is individual digital songs (which is possible) but if it's like this why lay's sales same in the app and website? that's why i am confused. The computer QQ site doesn't use "一万" though, it uses "张" which just means albums. 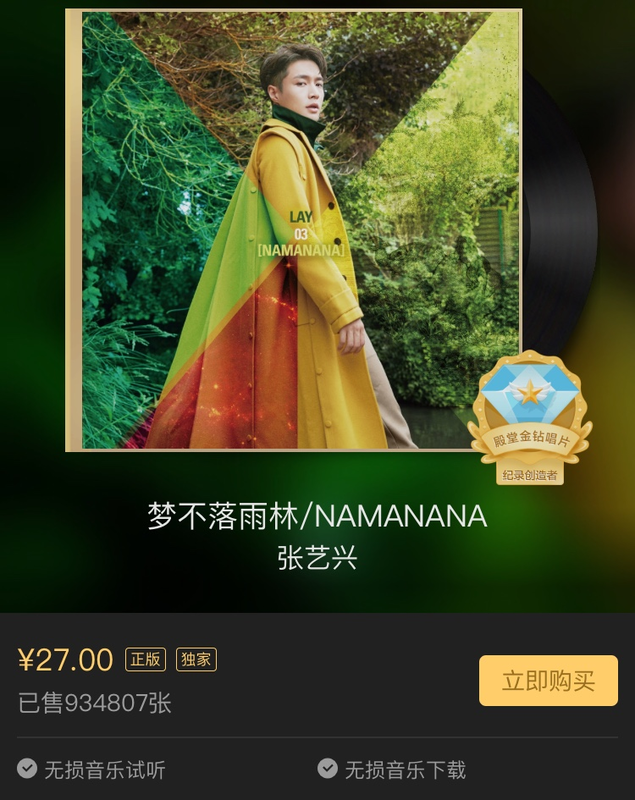 "已售 25662 张" - 25,662 albums sold. Ok so mandarin speaking admin of EVS says the character after the number of the app is 首, which means songs. While the character after the number of the computer version says 张, which means albums. Those larger QQ numbers are song sales. The smaller numbers are album sales. Both the app and computer for Lay use the 张 character, meaning albums. That's why they're not different. So the album chart for which exo had 250k or something was the total number of song downloads? 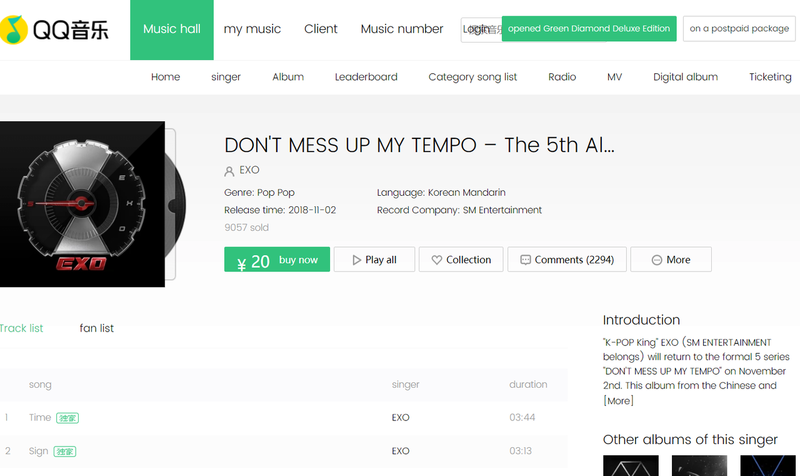 Gaon real-time album sales/shipment is now up.